First of all, I hope everyone had a wonderful 4th of July. Ours was pretty uneventful, other than the fireworks making the dogs nervous all evening and most of the night. It wasn’t too bad on them, but they pretty much refused to leave my wife’s side from about eight or nine, until well after bedtime. Now, truthfully, I started writing this entry a couple of days before the 4th, and at the time I started, I had book covers on the mind. 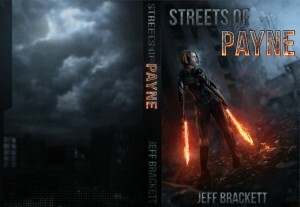 It was a topic that had been on my mind quite a bit, since I went through so much on the cover for Streets of Payne (read about some of it here). 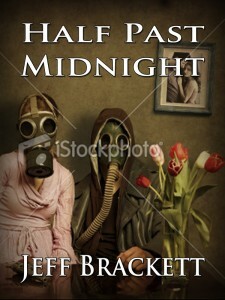 Then I think back to the issues I had with the cover for Half Past Midnight. 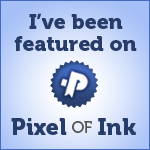 HPM was my first venture into writing, so I suppose mistakes were to be expected. But even taking that into account, there were plenty of problems. And that gave me the idea that some of the rest of you might have encountered similar issues. Or perhaps you’re coming up on that part of your work in progress and you’d like to see some of the pitfalls I went through so you can (hopefully) avoid making the same mistakes. Or, maybe you just want a good chuckle at my expense. :rotfl: Hey, I don’t blame you. Looking back on some of what I did, I find it pretty amusing, too. Needless to say, I was disappointed. How could he miss the mark so completely? Didn’t he know what I was trying to accomplish here? It was almost as if he hadn’t read the book at all! And that was when I realized… he hadn’t. Cover art lesson #1 – Don’t be timid! Get involved in every aspect of your book. No one knows what you’re trying to accomplish better than you do. It’s up to you to carry that vision forward from beginning, to end. All the way to the end! So I contacted the artist and we discussed why these proposed covers just weren’t going to work. He was extremely understanding, and taught me how to go to various stock photo sites and create light boxes with pictures that I thought incorporated part of what I wanted on my cover. I spent the next several days going over picture after picture, until I found something that I thought incorporated the “feel” that I wanted on my cover. It was a picture of a young woman with an AK47 resting on her shoulder. She stood in the middle of an empty field, and she looked dirty, bone weary, and down-trodden. She reminded me of the character of Megan in my book. I sent that to him and told him what I had in mind. 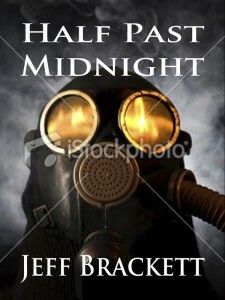 That was when I learned what a decent cover artist can do with photo manipulation. I spoke to him about backgrounds, and the fact that in the book, Megan used a crossbow, and that a lot of the fighting took place under cover of darkness. After a few conversations, and a couple of final tweaks, he finally created this outstanding cover. In the meantime, though, the editing was complete, and the publishing files were done. 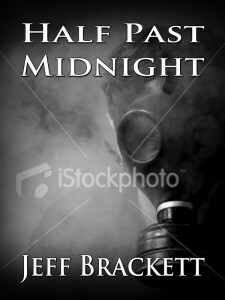 I had waited too long to have the cover art done, and now I had a book ready to publish, and had to wait for the cover. 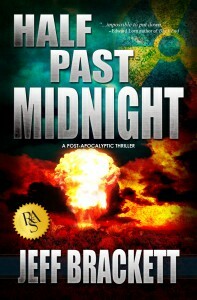 Cover art lesson #2 – Learn to manage the timing of publication. There are some tasks that are prerequisite to others. For instance, the book must be written before it can be edited, and it must be edited before it can be formatted for publication. 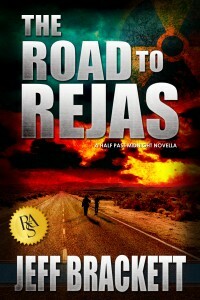 However, the cover art can be done as soon as you know your novel’s theme, tone, setting, and characters. Once you have a feel for what you want on the cover, I recommend that you begin working towards getting your cover done. This will eliminate the frustration of having your novel written, edited, and files ready for publication while you have to wait on your cover. So I finally got the artist everything he needed and within a matter of days he sent me a preliminary cover. A few tweaks, and we had a cover I was happy with. Did I say happy? I was thrilled. It was awesome! But I wanted to make sure other people agreed with me, so I posted a preview of it in a few writing forums. The response was overwhelmingly positive. I had a winner of a cover. I went to work, put it on a few print galleys, and started gearing up for the e-book distribution. Then came the question that I should have headed off at the very beginning of my polls – What is your book about? What’s it about? Well, it’s a post-apocalyptic story about a small group of people who survive the nuclear aftermath of a war, only to find that there are still crazies in the world, and…. Wait, wait, wait! You mean this isn’t a YA story about vampires? I pulled that cover immediately. As I recall, there are less than ten copies (I think there are six, actually) of the paperback version of HPM that have that cover. If you have one, who knows? Maybe it will be a collector’s item when I’m a world-renowned author! LOL. Cover art lesson #3 – Make sure your cover tells what your story is about. It’s not enough for it to just look really good. A potential reader needs to be able to look at the cover and get a pretty good idea what the story is about. 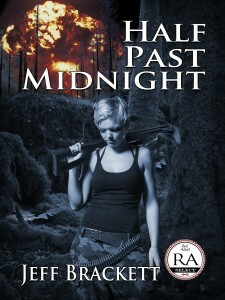 If I had gone with that original cover and people had begun buying my book thinking it was a YA vampire book, I can’t imagine how many folks I would have disappointed. It didn’t have all that much to do with the story, but someone looking at it definitely got the idea that this was a post-apocalyptic novel set after a nuclear war. It worked well enough for about a year. I did find out one minor problem with the cover during that time. 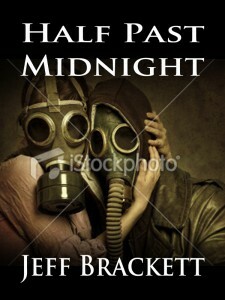 It turned out that the licensing for the stock photos used in that cover were only good for cover art. Cover art lesson #4– Make sure of your licensing for the artwork. It may cost a little extra, but if you ever want to give away any promo items, you must make sure you can legally do so. Cover art lesson #5 – If there is any possibility of your story becoming part of a series, you must remember to bear branding in mind. If you have several written works up for sale, the reader should be able to look at the covers and immediately tell which ones are part of the same series. Unfortunately, it was going to be difficult to do this with the HPM cover I had at that time. So I spoke to another cover artist. Now, I had nothing against the first artist, but he was attached to a company I had decided not to go with again due to monetary considerations. I had found that much of what they did, I could do on my own, and what skills I didn’t have were available for hire at a much more reasonable cost. 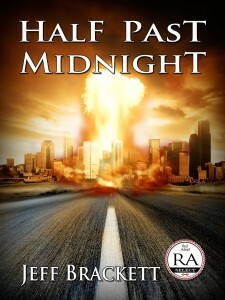 So I contracted with Glendon Haddix at Streetlight Graphics to do the cover for R2R, and to redo the cover on HPM, with the understanding that there would be another novel coming in the future. They came up with the fantastic covers that HPM and R2R have today, and there is already a preliminary for the upcoming sequel, Y12. So look at these two covers. Is there any doubt that the stories are related? I don’t think so. Color scheme, font style, symbols… all of these were used to great effect to link the stories in the reader’s mind. First of all, Streets of Payne was going to be completely different from HPM and R2R. It was a different genre, different theme, targeted a different audience… it had a totally different feel. So I knew I wanted it to look completely different from my other covers. I also knew that I wanted a different kind of cover. I was interested in getting some more expensive digital art. Unfortunately, that was something that my previous cover artist didn’t do. So I started the search back in July of 2012, when SoP was still a work in progress. I figured that would give me plenty of time. I was determined that I wouldn’t be caught sitting on a practically finished manuscript, waiting on a cover before I could publish. 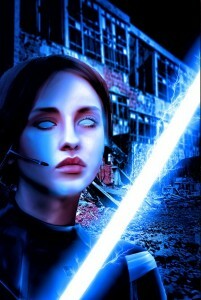 A fellow author put me on to an amazing digital artist she had found. This woman didn’t stop at photo manipulation, she did digital art at another level. I got contact information and told her what I had in mind. She explained that there were several people ahead of me, and that it might take a while, but at that time, I anticipated that I wouldn’t likely be ready for the cover until the end of the year. Since I had planned so far in advance, time was not an issue for me. I told her that I didn’t anticipate completion of the novel until the end of the year, so that wouldn’t be a problem. We exchanged a couple of emails, worked out details, and she sent me payment information. Cover art lesson #6 – Never EVER pay in advance by Western Union. If someone tells you that is the only way they will accept payment, find someone else. There are other artists out there. Payments via Western Union are non-refundable. It is the equivalent of you handing cash to someone, without knowing them, or where they live, or what they will do with the cash once they get it. You have absolutely no recourse if the deal goes south. Now, you may ask, why did she need payment via Western Union? Simple – she lived in Croatia, and it was the only way she could get money from the US. Okay, maybe I was naïve, but I bought it. I’m usually one to give people the benefit of the doubt. And hey, I had plenty of time to work through any issues, right? ? :-) So after a few months of not hearing from her, I caught wind that several other writers were having trouble getting her to respond to email. Then rumors started that she had been involved in an accident, and was starting to get back on her feet. There was a thread on Kindle Boards wherein several authors expressed their dissatisfaction with her lack of response to their queries. Some had missed deadlines and had to find other artists. And then she posted on the thread herself. She apologized, said she had been in a motorcycle accident, and had been unable to work for several weeks. But she assured everyone that it was all behind her, and she was getting back to it. Of course, she was way behind, but if we would all just be patient with her, she would get caught up in a few weeks. Again I waited. After all, plenty of time, remember? By the time October rolled around, I was starting to get concerned. I sent her several emails, none of which were answered. I finally decided to put a little pressure on her. I posted on that same thread in Kindle Boards all that I had been through with her. That did two things… it brought the problems everyone had had with her back to the top of the forum again, reminding others that she had been a problem, and showed that I was still trying to contact her. preliminary work within a week. It was November 27 when she finally got me something, but when she sent me the work, I was amazed. We went back and forth a few times with minor changes I wanted, until she finally sent this cover in early December. There were a couple of minor changes that she still hadn’t gotten, so I asked her to make them, and send me the licensing agreement so I could use the cover. That was the last I heard from her. She never responded to any other emails or chat requests. Ever. Cover art lesson #7 – No matter how talented the artist may be, if they have no business ethic, you can’t work with them. I was SO frustrated! Here was this absolutely fantastic cover, and I couldn’t legally use it. I asked around, and no one else was able to get a response from her either. It was like she had dropped off the face of the earth. Cover art lesson #8 – Make sure you know the licensing laws and other legalities involved in using the cover art you contract. If you hire an artist outside of your native country, check to see if there are any international laws regarding the use of the artist’s work that might impact your novel. By this time, I was getting pretty concerned. What had started as a six month cushion, had dwindled to a matter of a few weeks. In the meantime, I began corresponding with another author whose acquaintance I had made on a forum. He had recently published his first book, and had been taken to the cleaners on editing. I contacted him, letting him know how much I liked the story, but recommended that he get it professionally edited. 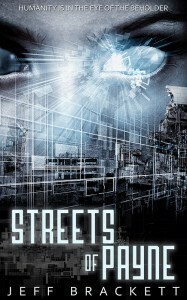 I put him in touch with my editor, and when he mentioned he also wanted to explore getting a new cover and having the manuscript reformatted, I recommended Streetlight Graphics. I made an introductory call for him to Glendon, and during the course of our conversation I mentioned the problems I’d been having with the SoP cover art. Well, it turned out that the type of digital “painting” that I’d been looking at was something he was interested in learning. I was back in business! I knew that Streetlight Graphics was completely trustworthy. I knew they valued their clients, and their reputation, and were doing everything in their power to grow that reputation. And I knew the way their licensing worked. I showed Glendon the cover I had commissioned before, and told him how much I liked it. But I knew I couldn’t simply have him go out and replicate the same cover. I didn’t want there to be any possibility of some sort of copyright infringement. So we went through a few false starts, and finally came to what you see here to the left. I was torn. I liked it quite a bit. But something just didn’t feel right about it. I couldn’t put my finger on it, but Glendon made it simple. He said if I couldn’t look at the cover and say, “that’s what I want on my book”, then he didn’t want me to accept it. We kicked around a few more ideas, and he explained that he thought we might be focusing too much on a particular scene or character. He suggested going more with a concept piece, and started asking some questions. A few days later, he presented me with a cover that blew me away. Cover art lesson #9 – Trust your gut. If something doesn’t feel quite right, figure out why. Or, if you can’t figure out why, step back and punt. It may be that you’re so focused on a particular idea that you’ve got tunnel vision, and are missing a wonderful idea that’s waiting just around the corner. I know I’ve already shown the cover, but this post would be incomplete without finishing the evolution. So…. there it is – the stories and lessons I’ve learned (so far). I hope some of this might just help some of you avoid similar mistakes as you travel your own road to success. And in the meantime, I need to get back to work on the newest work in progress. Watch for an upcoming collaborative novel by yours truly and Edward Lorn, wherein we will explore the world of post-apocalyptic horror. Chucklers – coming to a nightmare near you.